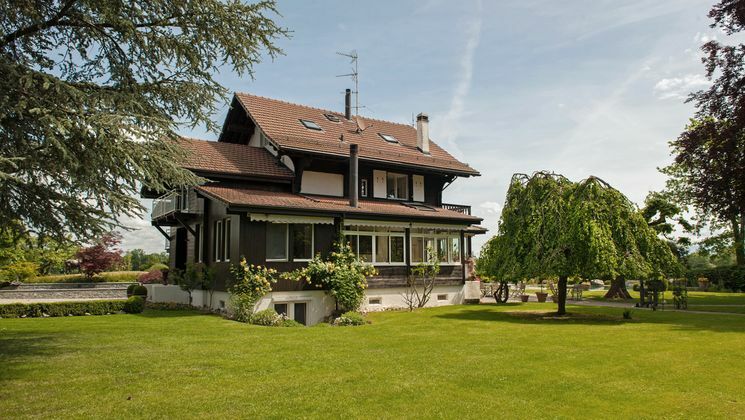 Chiffelle Immobilier - A charming property with a large garden, annex, and swimming pool. 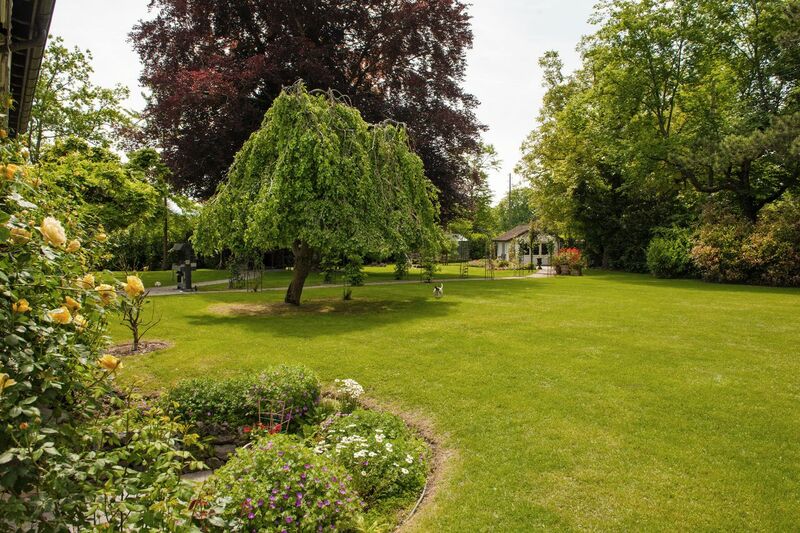 A charming property with a large garden, annex, and swimming pool. 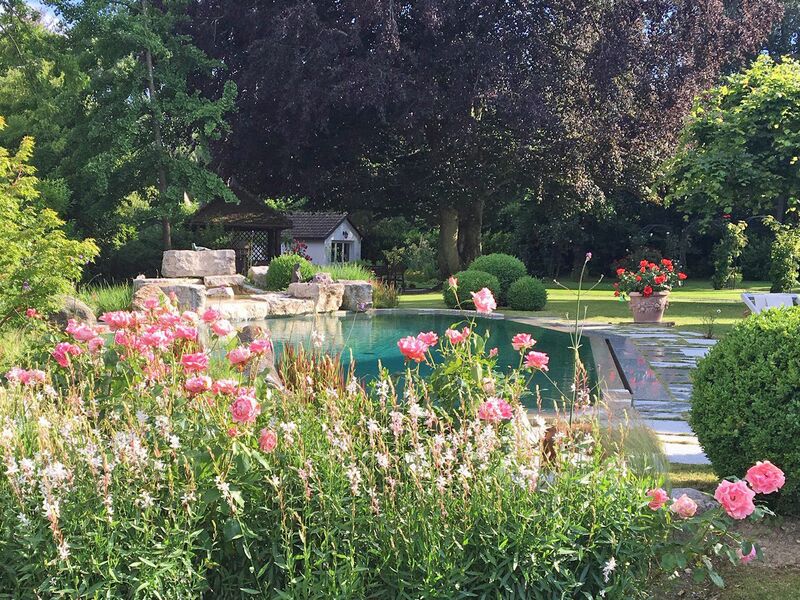 This charming house built in the 1900s with 360 m2 of living space is situated in the centre of a large plot of 4,234 m2 that has trees, flowers, and a heated pool. It provides a natural setting that is only 20 mins. from Geneva airport, offering its owners calm and serenity out of the ordinary. 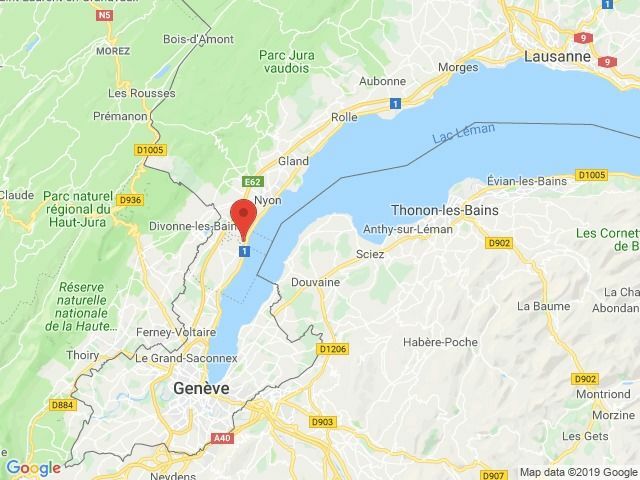 It is located in the immediate vicinity of the village of Founex and all its amenities, just a few minutes walk to enjoy the lake and its beaches. The house has been completely renovated with great care and respect for old materials. On the ground floor, it has large living rooms open to the outside and, on the floors, five spacious and bright rooms. At the bottom of the garden, a pretty outbuilding of 28 m2, heated and equipped with a toilet can accommodate family or friendly visits. Three minutes from the centre of Founex, but also close to the lake and its banks, this property offers a bucolic setting, sunny and green. 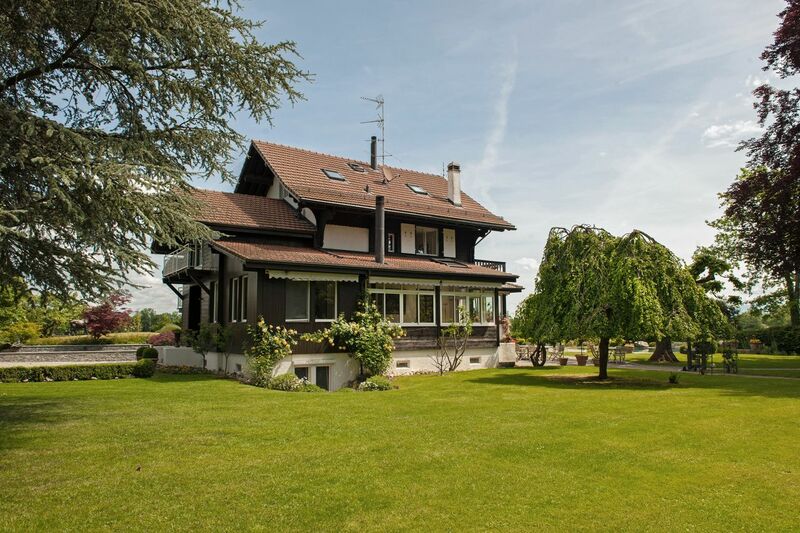 20 minutes from Geneva International Airport. 30 minutes from Geneva centre. Very easy access right up to the house. All amenities and shops within 8 mins. by car (Founex village). Bus stop at 500 m.
Coppet station at 3 km. Geneva-Lausanne motorway entrance: 3.5 km. Hiking, mountain biking, sailing, fishing, swimming. Classic construction, the house is in stone including the floors, the wood is plated for decorative purposes. At the bottom of the garden, an attractive outbuilding of 28 m2 (insulated, heated, and equipped with a WC) to accommodate visits from family or friends. A DIY workshop and heated garden of 17 m2. 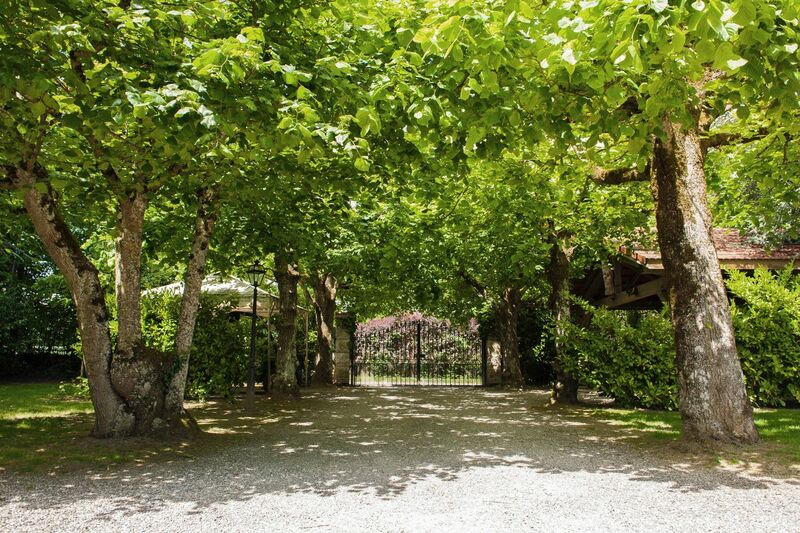 A beautiful landscaped garden of 3,900 m2, offering variety including a heated swimming pool. The bucolic charm and privacy of this extraordinary property is partly due to its location in an agricultural area, but still close to all amenities. A security system and automatic gate ensures its security. The current lay out offers two independent apartments that can be easily connected by the refurbishment of an already existing staircase.